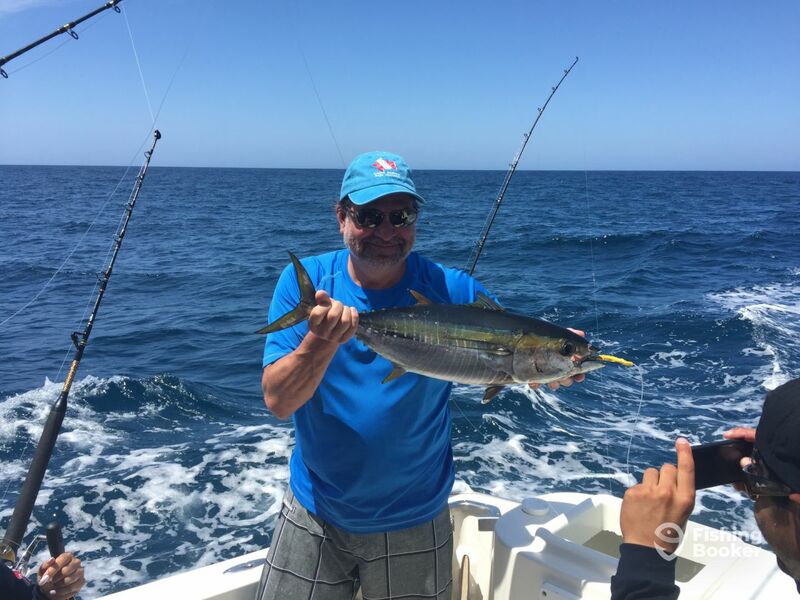 We were blessed to have chosen Blue Sky as our yaht on our first family fishing excursion. “Best Day Ever” describes what our day was like. 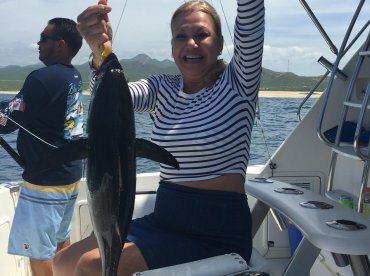 About 1.5 hours into our trip my wife Liz caught the first catch of the day, pretty god size tuna. 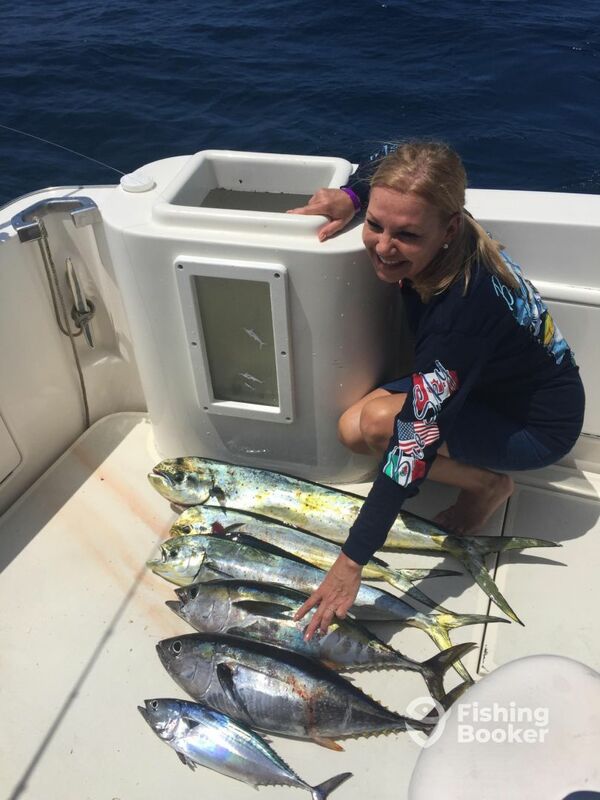 Thereafter it was catch after catch ... Ended up with 3 Tunas and 3 Mahi Mahi’s. Captain Juan was amazing and his crew of two attendants, Julio and Mario were phenomenal. I highly recommend Blue Sky to anyone out there seeking a deep sea fishing trip to anyone. Blessings to all.. The Garza and Ceoeda family. We just had the best experience with Captain Jim’s screw on the Blue Sky. 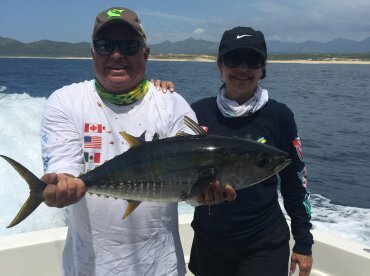 We had an all day charter fishing for Marlin and just cruising around Cabo. We got off to a little later start (which Jim was happy to accommodate) and cruised by El Arco on the way out. Then we sent out in search of the Marlin. The crew was very experienced at “hunting” fish, as they like to call it. We’d always have some troll lines out, and they would use binoculars to search for fins in the water. I was at first somewhat skeptical of this method, but less than an hour on the boat and we pulled up right next to two marlin sunning in the water with their fins sticking out (the captain had spotted these from quite a distance away). 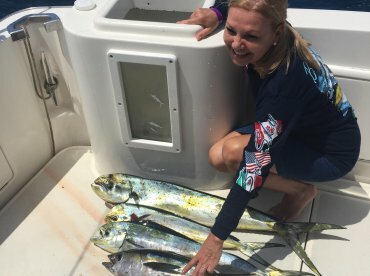 It didn’t take long and we had one Marlin on the boat and another that got off the line. We saw several humpback whales while out which was another unexpected treat! After some time fishing we decided to cruise towards the shore and take a taxi in to the beach for some drinks and hanging out. 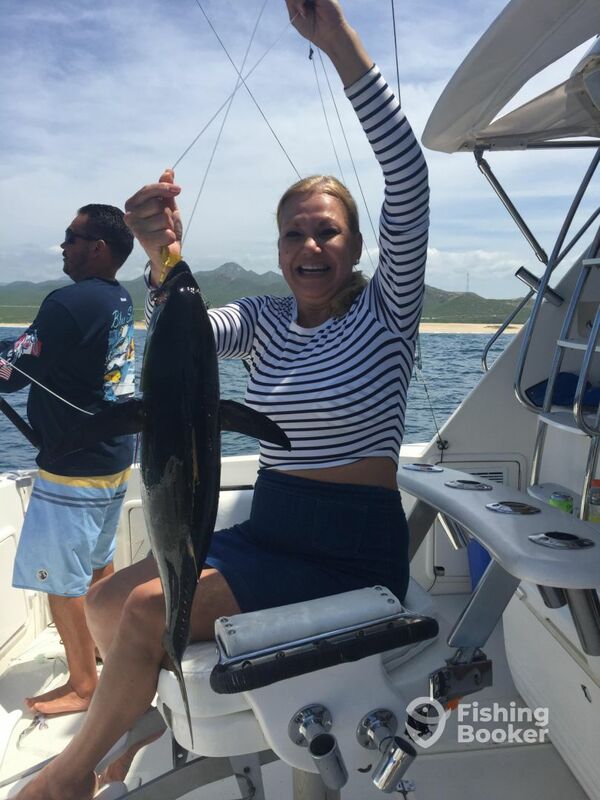 When we got back on the Blue Sky, the crew had prepared the best fresh ceviche with our catch! The day was absolutely perfect. I strongly recommend getting the hostess on board. She made the trip much more enjoyable! 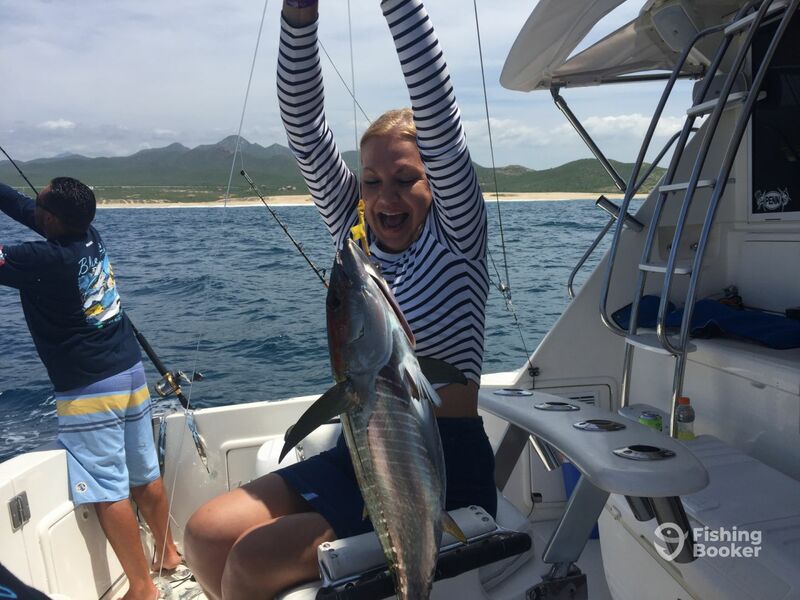 Our entire group cannot wait to get back down to Cabo to make it out Captain Jim’s Blue Sky again! 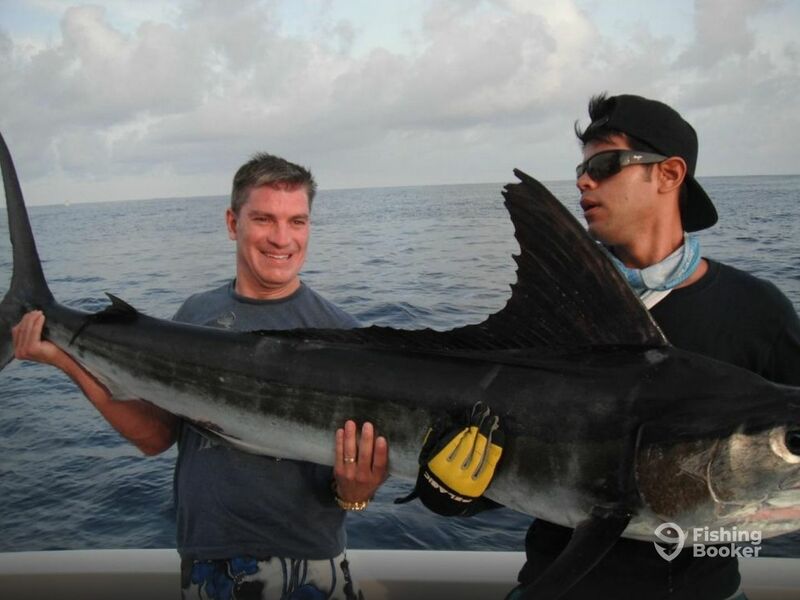 Thank you Michael - we were ecstatic that your group landed and released a marlin for this special charter. We hope to have your group back real soon. THe boat was the highlight of our trip. The captain , crew and chef were beyond our expectations . Captain Jim was always making sure everything was to perfection . We had a blast and they even gave us all souvenir tshirts !!! Can’t say enough . Thank u for a lasting memory for our family ! We had 4 adults and 5 teenagers, so keeping everyone happy was hard to do. But with Capt Juan, Mario and Julio, WOW. they exceeded expectations with keeping everyone involved, and keeping them happy. And we even caught our first Marlin. so what a wonderful experience and I guarantee we will do it again. WOW! 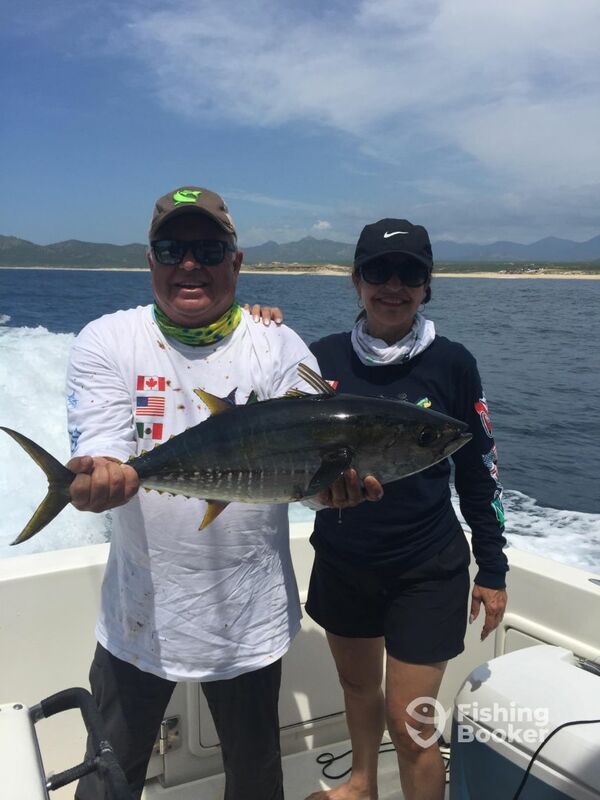 If you’ve ever been thinking about fishing in Cabo, this boat and crew are MUST do! I’ve been in touch with owner Capt. Jim from the beginning and we had great communication. Arranged everything, set expectations and everything was ready to be delivere. Oh, they did it great! I was super excited and even more after the fishing. 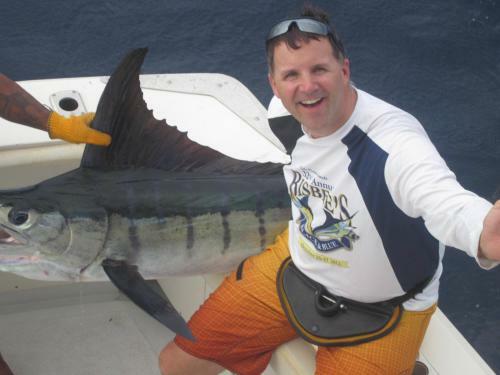 Jim was accommodating, knowledgeable and probably the best Captain I fished with so far. Highlight are two Marlin and a Mako Shark! We released all the fish we caught because we like it that way and Jim supported us. The boat is well maintained, clean and reaaal beuaty. Not to forget how big the boat is. I suggest you not to look for something else, book with Capt. Jim!